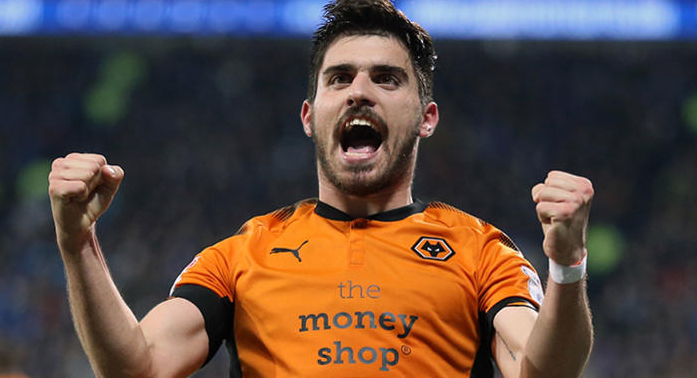 One of the popular professional football player is named as Ruben Diogo da Silva Neves who plays for Wolverhampton Wanderers and Portugal National Team. He is well known celebrity. He is famous for contribution to professional life. He is best at Midfielder position. Currently, he is playing in Wolverhampton Wanderers. He had played for porto. His Shirt number is 8. He is very talented and skilled player. Passionate and enthusiastic player, Ruben Neves was born on 13th March 1997. He was born and raised in Mozelos, city of Portugal. He is the son of Jose Neves. His nationality is Portuguese. At the small age, he began his career with Football. Ruben has got a great personality. Talking about his body, his height is 1.9 m. His weight is of 88 Kg. He has a balanced body with good health. He has an attractive body figure. His smiling face and charming personality has helped him to gain the attention of all the viewers. Neves joined FC Porto's youth system at the age of 8. On 15 August 2014, aged only 17 years and five months, Neves made his Primeira Liga debut, starting in a 2–0 home win against C.S. Maritimo. He played his first game in the UEFA Champions League five days later. On 10 December 2014, during a Champions League group phase contest against FC Shakhtar Donetsk, Neves was injured in his right knee. On 20 October 2015, aged 18 years and 221 days, Neves became the youngest player to start as captain in the Champions League, helping Porto to a 2–0 win against Maccabi Tel Aviv F.C. in the group stage. On 8 July 2017, English EFL Championship side Wolverhampton Wanderers announced that they had signed Neves for an undisclosed fee, thought to be in the region of £15.8 million. In April 2018, Neves was nominated for the EFL Championship Player of the Season and Young Player of the Season awards. 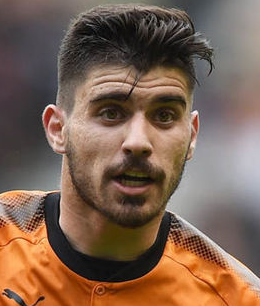 In July 2018, Wolves announced that Neves has signed a new contract with the club, extending until 2023. He scored his first Premier League goal and assisted Raul Jimenez against Everton. On 29 August 2014, still aged 17, Neves was called by coach Rui Jorge to be part of the under-21 side. He scored his first goal on 14 October, helping to a 5–4 home win against the Netherlands for the playoff round of the 2015 UEFA European Under-21 Championship. Neves was first called up to the senior squad on 10 November 2015, ahead of friendlies against Russia and Luxembourg. Neves was selected by full side manager Fernando Santos to a preliminary 35-man squad for the 2018 FIFA World Cup, but he did not make the final cut. This excellent player makes good money from his work. His net worth and salary is kept in privacy but there is no doubt in the mind of his supporters and followers he is satisfied with his earning. His exact net worth figure is still yet to get unfolded.